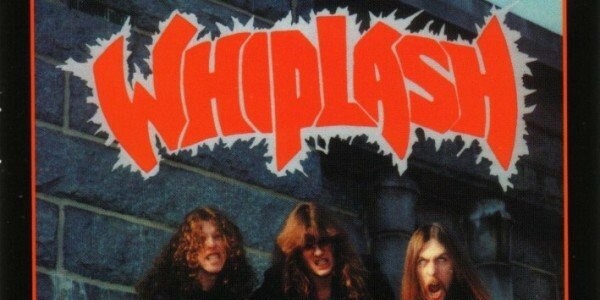 The album title alone lays out Whiplash‘s stall from the outset….it was time to bring Thrash back and Whiplash were the band to take the bull by the horns and start Thrashin’ like it was the 1980’s again! Reuniting the acclaimed line-up that delivered the 80’s classics Power And Pain and Ticket To Mayhem, Whiplash may not have matched the highs of those two albums but their endeavour to return Thrash to it’s rightful place at the very top of the Metal hierarchy was a commendable and frankly necessary stepping-stone to the genre’s inevitable comeback a few short years later. The tin-can widdly riffs (that’s the only description that seems to fit Whiplash’s signature guitar sound) of old were back on “Stab” and “Thrash ‘Til Death‘s” can’t-be-argued-with lyric of “no compromising we’ll Thrash ’til death” cemented Whiplash’s place as one of the few bands fearless enough to kickstart Thrash’s long awaited resurgence.